YouTube is our go-to channel for all types of video. Looking forward to doing some morning yoga, let’s open YouTube. Don’t know how to make a cuisine, check YouTube. Want to know how makeup is done, YouTube it. Youtube has certainly become our answer to all things. However, not being able to download YouTube videos on phone is what ruins this experience. You can only save the videos on your Youtube profile but, accessing it offline on phone is not an option. Now, even that is possible. Let’s see how the best YouTube batch downloader works. Through Snaptube, users can access YouTube and various other platforms such as Facebook, Instagram, Twitter, etc. The interface of the app is highly user-friendly and the loader is efficient enough to provide rapid streaming of videos. There are no external charges of using the app and users don’t have to sign-up or register to utilize the full features of the app. Snaptube does not harm Android devices in any way, as it is security verified by CM Security, McAfee, and Lookout Security. 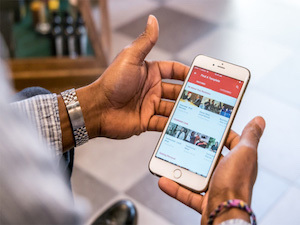 The app further offers picture-in-picture mode to users, which means that the video won’t stop even if the users traverse to other applications on their Android devices. Since Snaptube’s offers high consumer experience, users don’t face any issues when using the app. Below are some steps for installing Snaptube and how to download bulk videos from YouTube. For using Snaptube application, you need to download and install the free bulk YouTube video downloader first. Note: If you are unable to access Snaptube or download it from the official website, don’t worry. There are chances that you have disabled third-party applications on your Android phone. You can enable it in minutes. Just open Settings in your phone and go to Security & Privacy. Here, you will find install unknown apps or install third-party apps. Enable the option from this menu and try downloading Snaptube again. Open Snaptube app on your Android device and you will find YouTube on the homepage only. Hit the YouTube icon and from the three dots at the above right corner, you will be able to sign in to your YouTube account. There is nothing to worry about signing-in to YouTube from Snaptube because the app doesn’t misuse your credentials or data. Note: If you are unable to track YouTube on Snaptube application, then click on more icon and select YouTube from the list. You can also add other platforms to the list such as Hello Games, Videoming, Instagram, etc. 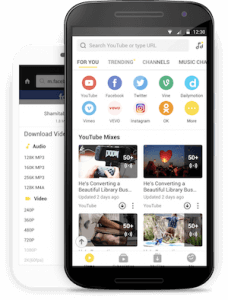 Search for YouTube playlist that you wish to download, open on video, and Snaptube will give you an option to download multiple YouTube videos in a batch with one click. A yellow downward arrow will flash on your screen. You just have to click it and select the quality of video you want to download. Snaptube allows you to download the video in music format or video format. Isn’t it great that we have an app that can resolve our big problem? YouTube helps us with almost everything. People use it to learn cooking, some learn arts, and even students use YouTube to prepare for competitive exams and studies. Having these videos in your phone simply solves the purpose and enables convenience. So, what are you waiting for? Visit Snaptube’s website and download the app now for unlimited access to YouTube videos.